Inspecting the container dress with high precision: a continuous final inspection. 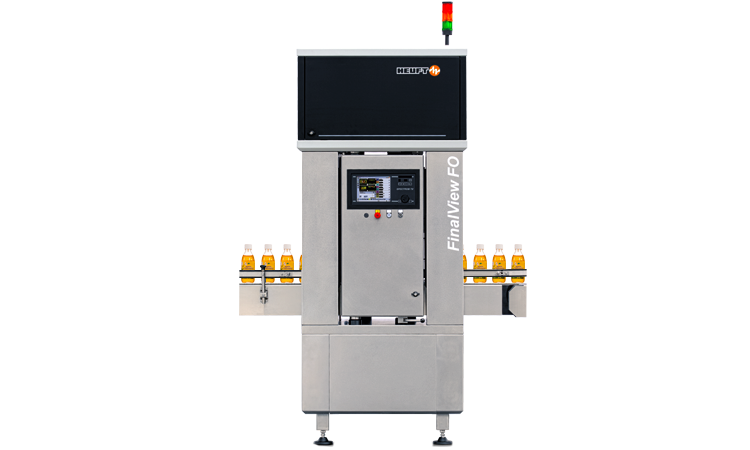 The HEUFT FinalView FO6 carries out a detailed 360° inspection of the dress of all the formats of unaligned filled pharmaceutical containers. 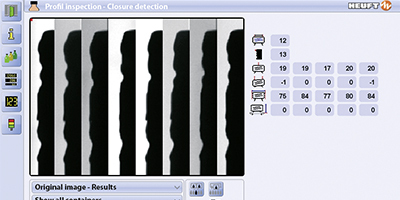 It achieves just as high a detection reliability when detecting incorrectly positioned, non-brand and damaged labels as when identifying minute printing and design faults. In addition the end of line system takes over, among other things, the inspection of the closures. 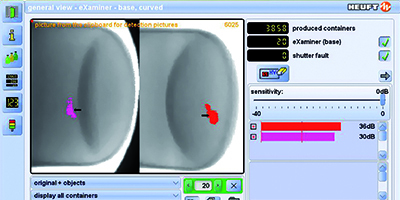 The teach-in function of the integrated real-time image processing system learns individual quality requirements and therefore reduces the false rejection rate sustainably. A complete examination: 360° inspection without blind spots. Correct brand, readable and perfect: consumers demand the highest standards regarding the product and its packaging especially in the pharmaceutical sector. The labels have to match the contents, be correctly positioned and without folds, defects, scratches or dirt so that they are not disappointed or their health put at risk. Just as important: a perfect print image and design. The HEUFT FinalView FO6 checks these quality criteria using the most modern high-performance cameras on several levels. Therefore the 360° inspection of the complete container volume is always possible without any blind spots. A precisely controllable, harmonious illumination makes sure that neither reflections nor shadows can impair the detection reliability. 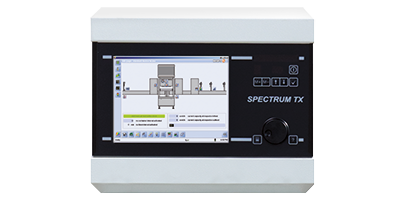 The system also reliably differentiates between labels which only deviate due to a single minute characteristic. It even checks imprints on a background with a similar colour highly precisely. The HEUFT reflexx² technology makes specific teaching in possible: uncritical characteristics, such as a slight print offset, can be taught in as good objects with it so that they no longer cause a rejection. Verifying product markings: reading BBDs and barcodes. Present, readable and correct contents: the HEUFT FinalView FO6 verifies that this is true in the case of best-before dates (BBDs) and barcodes with the HEUFT vio OCR. Special illumination technology achieves optimal detection reliability even when the ambient conditions are difficult. Automatic date adaptation always keeps the code reader up to date. This eliminates the danger of products which are not marked or incorrectly marked reaching the market. Ensuring tightness and brand affiliation: presence check and logo inspection. Present, correct brand and safe: the HEUFT FinalView FO6 examines the closures using a special colour camera technology. It identifies unsealed pharmaceutical containers just as reliably as those which are not the correct brand. The correct colour of the lid as well as the presence, alignment, integrity and the content-related reference of the lid logo to the filled product are checked precisely. The system removes unsealed containers just as reliably as those with non-brand closures. Additional technologies can be optionally integrated in the HEUFT FinalView FO6 for an extensive closure inspection due to its modular construction. Checking production quality regularly: exemplary sampling. Controlled, individual and representative: the HEUFT FinalView FO6 carries out exemplary sampling for internal quality assurance purposes. Cross-sectional sampling of production is possible due to the freely definable rejection of the desired number or a whole series of containers in succession. In addition it is also possible to define particular conditions such as minimum speed in order to take representative samples under standard production conditions. Changing automatically: servo-controlled adjustment of the transport and detection units. Fast, automatic and simple: the passage width of the conveyor in the HEUFT FinalView FO6 as well as the height and position of the individual detection units adapt to the changed container format by themselves without manual intervention during program changes due to clearly reproducible brand adjustments and an innovative servo technology. This economizes on human resources and not only saves time but money as well: efficiency and productivity losses due to lengthy changeover times are sustainably decreased. The HEUFT SPECTRUM systems with their modular design can be extended at any time. Thus the range of functions of the HEUFT FinalView FO6 can be optionally extended by means of the HEUFT VISION 360 to a highly precise, optical all-around closure inspection which even uncovers minute defects. Furthermore the following can be integrated upon request: powerful detection units for a precise fill level detection and internal pressure measurement. For example, the single-segment HEUFT flip and HEUFT mono rejectors as well as the multi-segment HEUFT DELTA-K and HEUFT DELTA-FW systems are ideally suited for the HEUFT FinalView FO6.